Sub Conference: How can Journalism and Media Build a Culture of Empathy? Janet Blank-Libra teaches courses in journalism as well as foundational courses in composition and literature at Augustana University, Sioux Falls, South Dakota. She also regularly teaches courses in literary journalism and creative nonfiction. 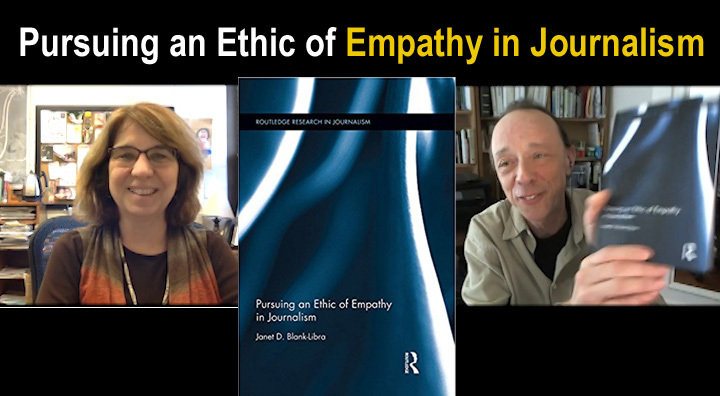 Janet is the author of Pursuing an Ethic of Empathy in Journalism. This book advances a journalistic theory of empathy, challenging long-held notions about how best to do journalism based only on "objectivity". Because the institution of journalism has typically equated empathy and compassion with bias, it has been slow to give the intelligence of the emotions a legitimate place in the reporting and writing process. 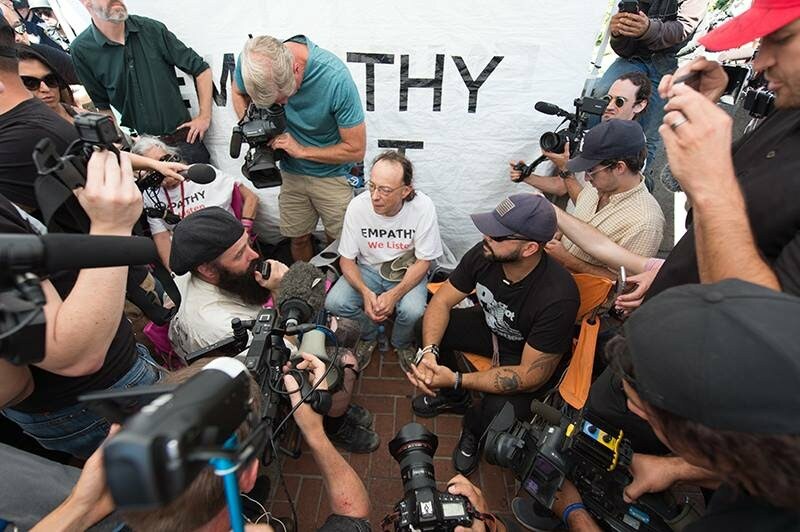 "When journalists practice an ethic of empathy and compassion, they do not forfeit their objectivity. Empathy seeks to understand the other, not produce agreement with the other. For this reason, empathy compels fair treatment of all sources. Just as one should empathize with the poor person, he or she should empathize with the public official." Josh Stearns is a journalist, organizer and community strategist. He is Journalism and Public Media Campaign Director for Free Press, a national, non-partisan, non-profit organization working to reform the media through education, organizing and advocacy. 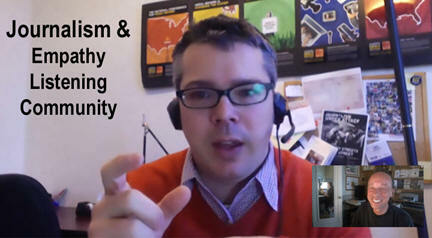 In this dialog we talk about the role of empathy, listening and community in journalism. Better reflecting and responding to our communities has to start with better listening. While journalism is rooted in interviews, there’s not enough discussion about the need to listen to our communities. And by listening, I don’t mean simply talking to sources or listening for story leads; I mean listening for the sake of understanding and building truly reciprocal relationships with readers." Arianna Huffington is president and editor-in-chief of the Huffington Post Media Group. 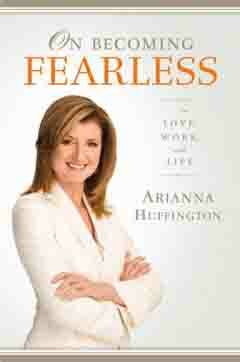 She is the author of numerous books including, On Becoming Fearless...in Love, Work, and Life. Here is an interview I did with Arianna via email. I think the opposite of empathy is the projection of our own fears onto others. We've seen this over and over again throughout American history. In times of economic upheaval, when huge numbers of people are losing their jobs, losing their homes, and feeling powerless to do anything about it, it has always been the case that people look for scapegoats. Empathy is the antidote to that. " "When Obama talked about empathy in “The Audacity of Hope,” he was very, very clear. He didn‘t want judges to make stuff up so that the poor guy wins. What he said is, put yourself in the other person‘s shoes, right? That was his mom‘s credo. When he talks about empathy, I think all he‘s saying is, just listen. Listen to what the other side is saying. See if there is merit to their argument. And then think it through." Mary Beth Oliver is a Penn State Professor and co-director of the Media Effects Research Laboratory, as well as, a member of the Department of Film-Video and Media Studies. She is co-author of Media Effects Advances in Theory and Research. Mary conducted a study titled, 'The Effect of Narrative News Format on Empathy for Stigmatized Groups'. "The primary aim of this study was to evaluate the extent to which news story format (narrative vs. non-narrative) can initiate empathic processes that produce more favorable evaluations of stigmatized groups." The study showed that narrative stories stimulate more empathy and compassion. Bob Koehler: How to Build a Culture of Empathy? Bob Koehler is a journalist: reporter, editor, writer and columnist. He is the author of Courage Grows Strong at the Wound. 1. Use restorative justice and peace circles.